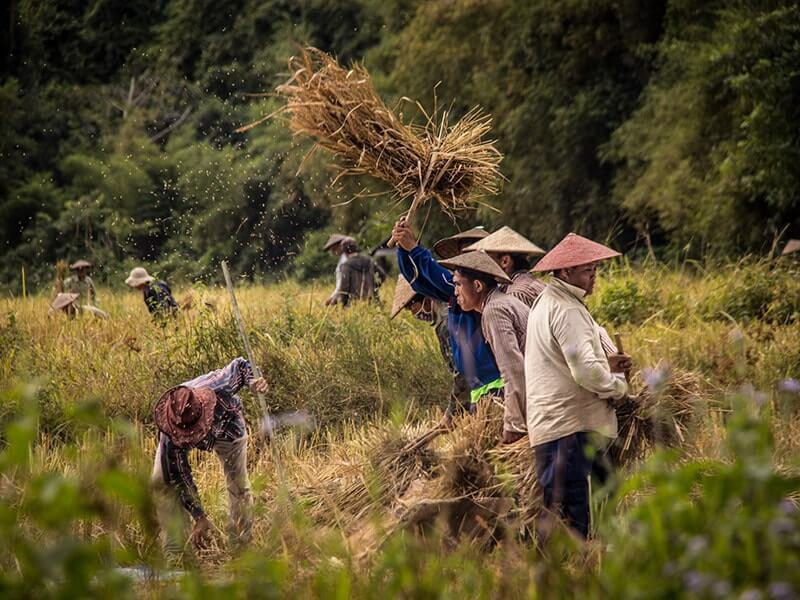 This Yunnan to Luang Prabang Overland tour will provides you irreplaceable memories of rolling mountains, remote villages, tribal crafts, beautiful landscape and highlights of Laos and China. Join us on a voyage of discovery and relaxation, taking in the bright lights of Yunnan of China, the age-old charms of Luang Prabang in Laos. Welcome you to KUNMING, the capital of southwest China's Yunnan province. Upon arrival Kunming airport, our Asia Senses tour guide will pick up then transfer you to the hotel for check in. After a short rest, begin with a short walk in Green Lake Park (also known as Cuihu Park) which is situated almost in the city center and facing Yunnan University, is one of the most beautiful parks in Kunming city. It features clear water, verdant willows, and tropical forests. It looks like a glistening emerald in Kunming. Here, you could observe local people who come to park to practice taiqi or qigong, two types of physical exercise which they consider vital to their health and well-being and play Go (an ancient Chinese board game) or Mahjong. If time permits, we will take visit to some highlights of Kunming City. 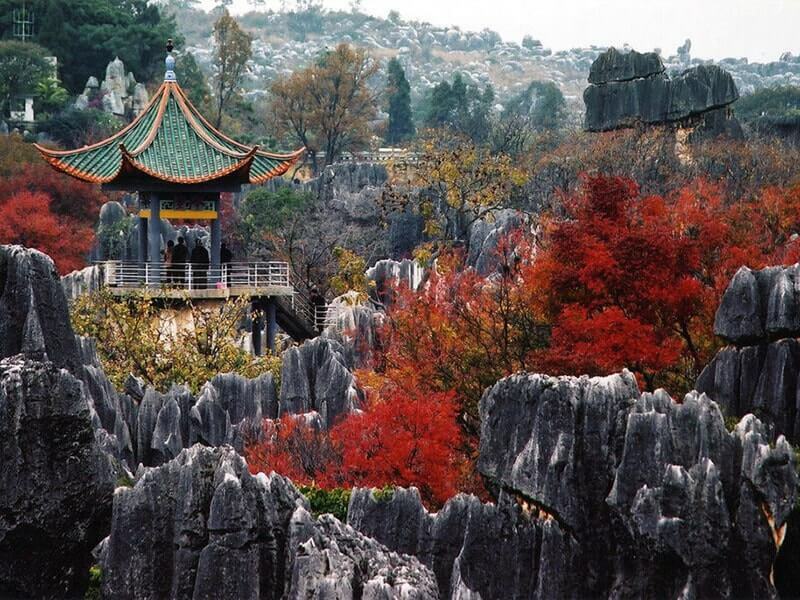 This morning, visit the Stone Forest (Shilin) located in Shilin County, 86 km southeast of Kunming. It is one of the most important attractions of Yunnan. The Stone Forest covers an area of 500 square kilometers (123,553 acres) and includes both large and small stone forests, as well as many other scenic spots of rocky peaks in an intriguing array of shapes and sizes. Due to its proximity from Kunming, Shilin can become a bit crowded. Therefore, our guide will take you instead to the quieter and less frequented Stone Forest, which is roughly 10km away from the main site but just as impressive. Depending on the weather, you could enjoy a picnic lunch in the middle of the “forest” while enjoying the stunning scenery. After lunch, drive back Kunming to visit Guandu Ancient Town which is located at south-east suburb of Kunming. It is one of the main historical and cultural landscape of Kunming tourism. Then be transferred to Yuantong Temple, the biggest and one of the oldest Buddhist temples in Kunming City which is the location of Buddhism association of Yunnan province and Kunming City. OPTIONAL: In the evening, you will have an option to enjoy the large-scale dance drama "Dynamic Yunnan" which richly depicts the strong flavor of the life of ethnic minorities in Southwest China. Primitive, unsophisticated folk dances and a fresh artistic concept converge in the program, giving audiences a unique "Yunnan Impression". Overnight at hotel in Kunming. This morning, you will be transferred to the Kunming Airport to catch domestic flight (the flight takes around 1 hour) to JINGHONG, the capital of Xishuangbanna, the most southern autonomous prefecture of the Yunnan province. The name of Xishuangbanna originates from the Thai word Sip Song Pa Na, which means literally “12 rice-growing districts”. It shares a boundary of 966 kilometers with Burma and Laos in the east, south and west, being a vital pass from China to Indochina by land. Xishuangbanna have a tropical climate with tropical forests, bamboo forest and mountain ranges. So it is home of more than 1000 animals (elephants, peacocks, monkeys, tigers ...). 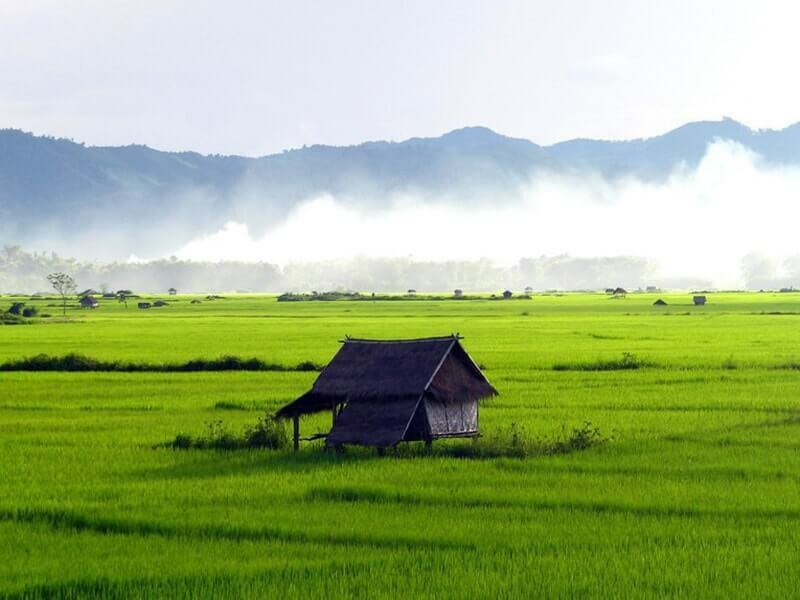 Due to its favorable climate, Xishuangbanna is one of the most fertile areas which is ideal place to plant rice, tea and other products. 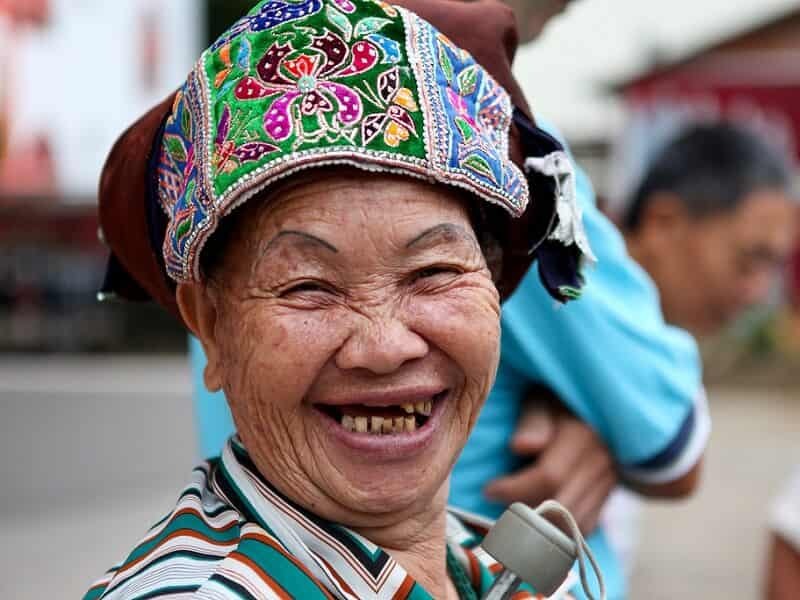 Xishuangbanna has a long history of Dai Minority who had been creating brilliant Dai culture during the last centuries. Indeed Dai, we also could meet Hani (in Yuanyang), Lahu, Yao Blang in hill villages. Visit their unique houses and discover their colorful cultures. Upon arrival at the Jinghong Airport, be welcomed by our local guide and driver. They will provide a transfer to Sanchahe Nature Reserve to visit the Wild Elephant Valley. This Reserve covers 1.5 million hectares and provides a habitat for 359 species of terrestrial vertebrates, 118 species of amphibians, 439 species of birds and more than 60 species of snakes. Take a 02 kilometer long cable way in the park to enjoy rainforest view “from the air”. If you are lucky, you will be able to see some wild oxen, green peacocks or monkeys. There is a small house which has been built on top of the trees for ones who want to observe wild elephants. The elephants in Xishuangbanna are Asian elephants. They live on wild banana, tender branch and leaf of bamboo and corn ect. After the visit to Wild Elephant Valley, drive back to Jinghong. Pay a visit to Mange Buddhist Temple, the oldest Buddhist temple (built in the 15th century) in Jinghong City. It looks gorgeous with the Dai-style roof supported by 16 toon-made columns and 16 exquisite white elephants standing on the eaves of the temple. Then be transferred to the hotel for check in. Start our sightseeing tour by visiting the Dongfeng Morning Market which offers a colourful display of fruit, vegetables, flowers, fish and textiles. Here you would meet up ethnic groups who gather daily to buy and sell their goods. Afterwards, leave Jinghong for Mengla. On the way, make a stop to visit at a village of Jinuo minority. With only around 20,000 members, it’s one of China’s most rare minorities. Stroll through the village, meet up with Jinuo villagers. Our next stop is Tropical Botanical Garden, located in Menglun town, around 80 km away from Jinghong. The garden is the largest tropical botanical garden in China which was established in 1950s by Chinese famous botanists Pro. Cai Xitao. It boasts more than 3000 species of tropical plants covering an area of 900 hectares, quite a few of which are rare elsewhere, forming a colorful botanical landscape. Arrive in MENGLA in late afternoon and spend the rest of the day free at leisure. 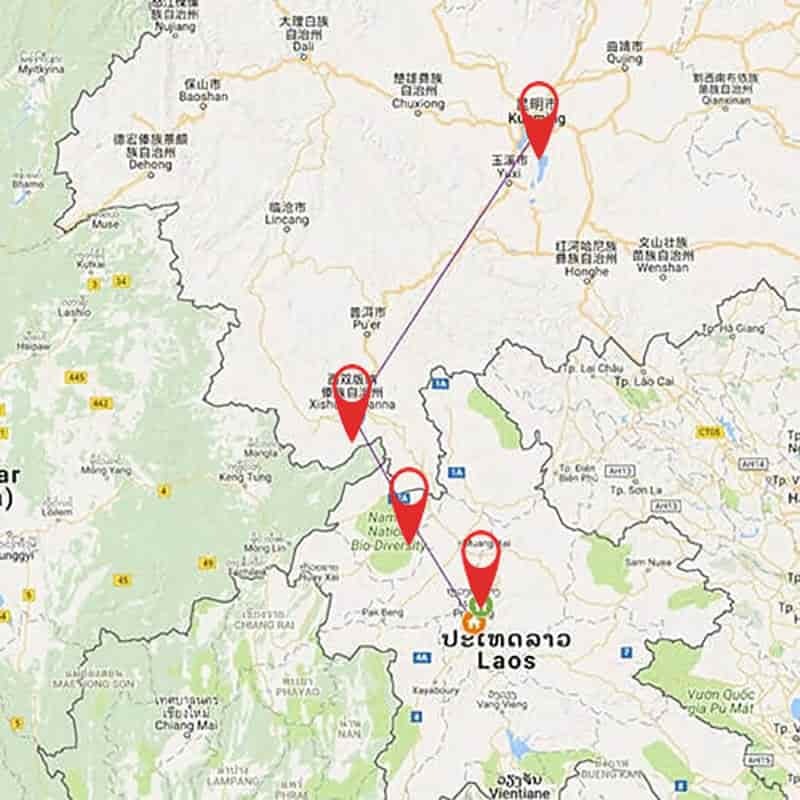 This morning, head to Mohan – Boten border where you bid farewell to China and cross the border to Laos. The VOA (Visa on arrival) is available in this border, you could get the VOA for Laos with 02 passport photos and $20 - $40 per person required in cash, depending on your nationality. Our Laotian tour guide will then provide you with a short transfer to the town of LUANG NAMTHA, which takes approximately one hour drive. Arrive in Luang Namtha and check into the hotel then take a short orientation tour of this peaceful town with our guide. Overnight at hotel in Luang Namtha. 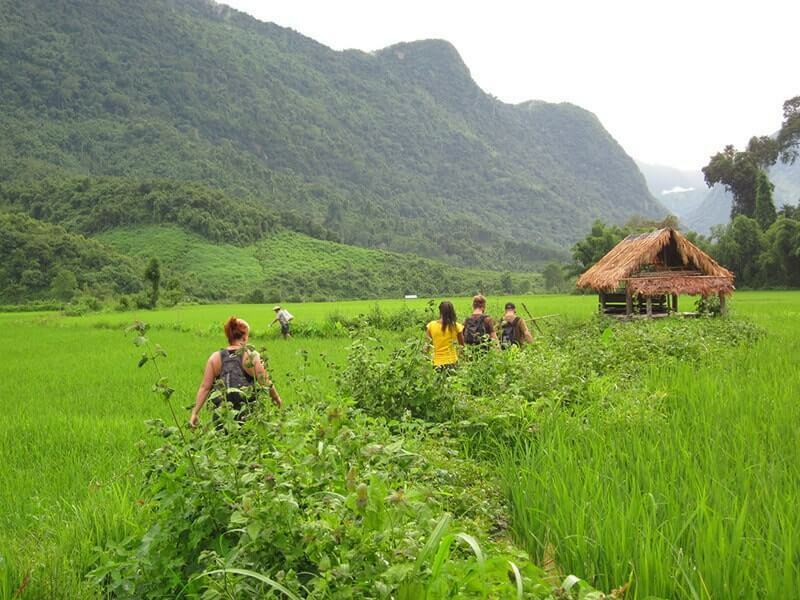 Today, explore the beautiful countryside of northern Laos. From the hotel, you will be transferred to the banks of the Nam Tha river. Receive your kayaking instructions then begin with some basic paddle instruction before taking to the river in single or double kayaks. During the dry season (Nov – May), the river is slow and suitable for kayaking, but it is quite challenging in rainy season (Jun – Oct). Our kayaking journey will cut through the Nam Ha National Protected Area which is home to some rare sections of old growth forest and some amazing ethnic villages of various different ethnic groups. Make a stop to visit Lantan Village of Ban Sope Dute and Khmu Village of Ban Sope Sim. After spending some time at the villages, continue on down the river which takes us through an area of exciting rapids named Tiger Leaping Rapid. Here, our driver is waiting and provide a transport back to your hotel in Luang Namtha. After breakfast, take a short transfer (30 minutes) to a Khmu Village of Ban Jaluensouk which is the starting point of our trek this morning. The trekking trail takes us up to the hills, passing through mixed forest. Only during the rainy season that it may be bit slippery from time to time. Cross a few small and beautiful streams. The guide will be very pleased to give you some information about the wild animals, birds, plants and medicinal herbs which you could see in the forest. 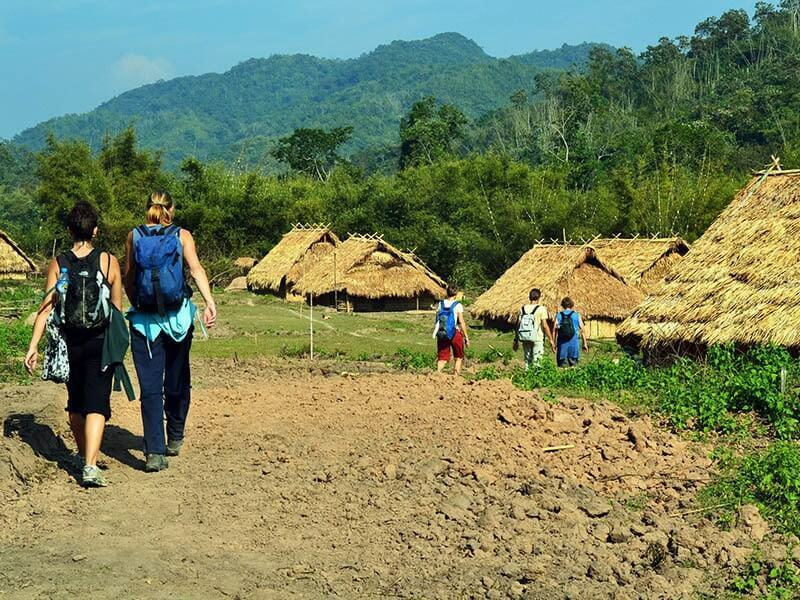 Along the way, he will also explain the similarities and differences between the various tribes that live in small villages in Nam Ha National Protected Area. Spend some time to discover villages and learn about the life of these small ethnic minority groups. At noon, have a wonderful picnic lunch prepared by the local people. You can choose to eat in the house of one villager or out in the forest, accompanied by the music of bird songs and chirping cicadas. After lunch, continue through to some rice paddy fields with enjoy some good views before heading back to Luang Namtha. En route, we may stop in some villages known for its paper made of bamboo pulp (Lantan Villages) and for cotton and silk (Ban Pieng Ngam Village). Freshen up before you are transferred to MUANG LA, which takes approximately 3.5 hours. Arrive in Muang La in the late afternoon, check in your hotel and enjoy evening at leisure. This day, drive to MUANG KHUA, a small town in the Phongsaly Province of northern Laos. Follow the main road towards Phongsaly while crossing rolling hills; the road leads eventually to Tay Trang Border with Vietnam. The drive takes approximately 2.5 - 3 hours. Upon arrival in Muang Khua, board a private longtail boat for a cruise down one of the most scenically beautiful stretches of Nam Ou river. The boat trip takes nearly four hours, cruising slowly between the white limestone rocks of the mountains that border the river right and left. On the way, you could see lush green subtropical forests, water buffaloes and pigs lazing and grazing on the sandy riverbanks. Villagers, children and fishermen are waving at you. Enjoy your picnic lunch along the way while cruising downstream. In the afternoon, reach MUANG NGOI, a place to unwind and reset your soul. Disembark and check in to a local homestay. After the breakfast, leave Muang Ngoi and begin 2 hour trek through the rice field and beautiful landscape to Ban Houay Sens Village. Along the way, make a stop to explore Tham Kang, Tham Gang and Tham Pha Keo Caves, which are located about 30 minutes from Muang Ngoi. These caves were used as bomb shelters during Vietnam - America war. They are several kilometers in length with waterfalls and rock formations. Our guide will give you information to help you better understand about ethnic groups in Northern Laos such as Hmong and Khmu minorities. After that, trek back to Muang Ngoi. Lunch will be served at a local restaurant in Muang Ngoi. Take a short break then float downriver to NONG KHIAW by boat. This morning, your guide will transfer you to LUANG PRABANG by private car. It will takes approximately 3 hours. Upon arrival in, take an orientation city tour of this charming UNESCO World Heritage Site. 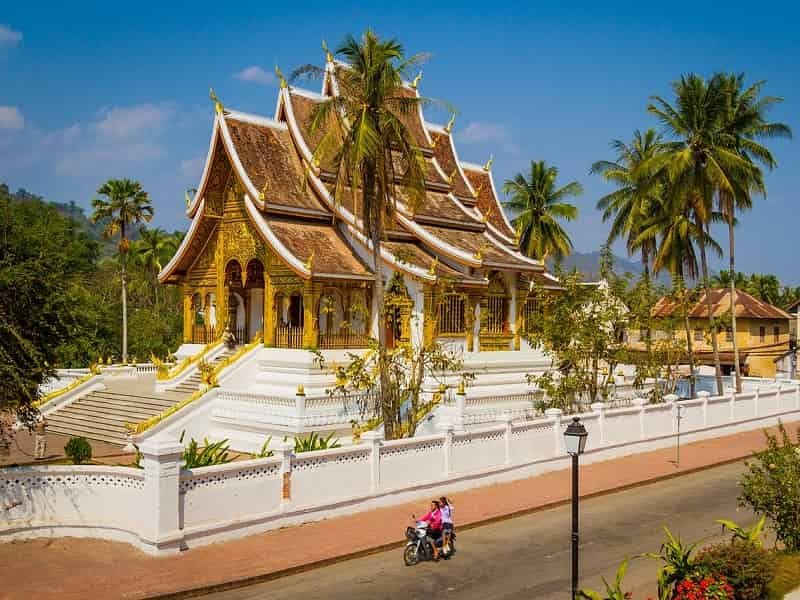 Visit the impressive stupa of Wat Visoun (Wat Wisunarat), oldest operating temple in Luang Prabang. It was built in 1513 under King Wisunarat’s order. Continue to Wat Aham which means “Monastery of the Opened Heart” and Wat That means "the Stupa temple" one of the most symbolic religious relics in Luang Prabang. 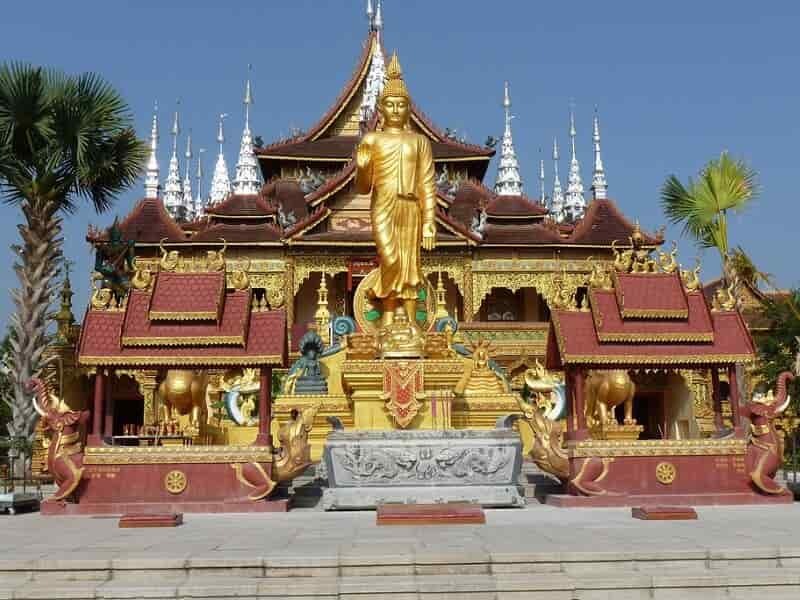 Next stop is the Wat Xieng Thong, one of the most important of Lao monasteries and remains a significant monument to the spirit of religion, royalty and traditional art. Then head to the former Royal Palace (now the National Museum) which was built in 1904 during the French colonial era for King Sisavang Vong and his family. The Museum hosts a range of interesting artifacts from the Royal period in Luang Prabang. NOTE: Royal Palace closed on Mondays. At the late afternoon, start climbing up 328 steps to the top of Mount Phousi, for panoramic views of the city, surrounding countryside and witness the memorable sunset, one of the most unforgettable sights on this tour. In the early morning, wake up early to the sound of the temple gong and observe the Morning Alms-giving Ritual procession. You would get a better understanding of local people's piety towards their religion. After breakfast at the hotel, our driver will transfer you to a pier on Mekong River. Start a Mekong River Cruise trip on the mighty Mekong River to visit the famous & sacred Pak Ou Buddha Caves. These caves, overlooking the confluence of the Mekong & Ou Rivers from on high, have been home to many thousands of Buddha images that were placed here by local people since 16th century. On the way back, make a short stop along the way to visit a local village where they make a living from weaving on ancient wooden looms. After that, head back to Luang Prabang for lunch. After lunch, head out of town and take a visit to Kuang Si Waterfalls, one of the highlights of Luang Prabang. Upon arrival, enjoy beautiful natural scenery, have fun in waterfalls and relax. You can climb the stairs and look down from various high viewpoints on the way to the top! Next to the falls is the Asiatic Black Bear Rescue Centre that rescues animals from the wildlife trade. Observe activities of bear and learn about the efforts to protect Asiatic Black Bears in the wild. Then be transferred back to your hotel and free at leisure. Overnight at hotel in Luang Prbang. Free at leisure until our guide and driver transfers you to the Luang Prabang Airport for onward flight. End of our services.